These swim trunks feature colorful sharks and have UPF 30+ sun protection. 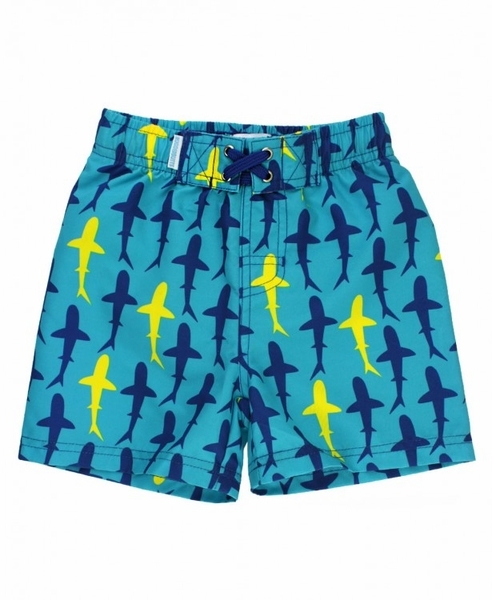 Pair with our rash guard for overall sun protection. 100% polyester by RuggedButts.